Also in the state is ten-time champion Dan Harger. In Postal Chess, John Penquite deserves mention. He was the highest rated USCF correspondence player with a 2927 rating (won 49 games straight, no losses, no draws). Editor of the official quarterly publication Iowa Chess En Passant is Mark Capron of Iowa City. For scholastic chess, a good contact is Roger Gotschall, Ames, Iowa 50010, tel 515-233-4239, email KPAWN2SQ@aol.com. Single issues of this magazine now retail for about $50 each. IOWA CITY: The Hawkeye Chess Club; contact Mohammad Sayeeduzaman at 353-4288; email and home addresses are on their webpage. Usually meets on the third floor lobby of the Student Union. A more current eddress is: University of Iowa Chess Club. The Tobacco Bowl cafe which is right downtown on the pedestrian mall is where you can ask for board and pieces at the counter and assorted chess players hang out there. In the summer, chess is played in the pedestrian mall in front of the cafe. The best place is at the Deadwood Bar at 6 Dubuque Street, just down the block. There they lend free pieces and chess clocks. It is the center of Iowa chess. AMES: The Ames ISU Chess Club also has two homepages (! ), contact: Roger Gotschall, Ames, Iowa 50010, tel 515-233-4239 email: KPAWN2SQ@aol.com. DES MOINES area has a scholastic chess league with many schools participating. There are an estimated 100 scholastic players in Iowa. Des Moines Chess Clubhas a couple e-mail addresses for one to contact. It meets on Tuesday nights. DAVENPORT Chess Club website is Quad Cities Chess ClubThey hold weekly, USCF-rated tournaments each Tuesday night at 6:30 PM at AmericInn just north of ThunderBay Grill in North Davenport (HWY 61 N. or Brady St.) If you'd like other information on additional meeting times and places, contact Roger Kromphardt at Ramjet711@aol.com. We hope you'll join us! DUBUQUE Chess Club meets at the public library on Wednesdays. Contact Earl Zismer, tel 556-1662. The Dubuque Chess Club. MASON CITY: Mitch Weiss 424-0946. Find the winning move that DEEP FRITZ can't find! This is from the game Willey (USA)-Yanoka ELO 2365 (POL), Yalta, CCCP, 1990. See below for the solution and game. Contact information for people trying to meet other people to play. I have input the 354 games of the Kaiser Wilhelm's Jubilee Grand Tournament in Vienna or Wien 1898 won by Tarrasch in a playoff over Pillsbury. It was a twenty player double round robin that, except for Lasker, included all the best players in the world such as Steinitz (4th! ), Blackburne, Chigorin and Janowsky. Many of these games - including several by Steinitz - have never been ported to the computer before, even in "two million game" databases. My idea was to upload it to the Pittsburgh Chess Club's archives but they seem not to be updating their pages. Since it is amazing that the 1941 USSR Absolute Championship - a six player match (4 games vs every other player) tournament held in Leningrad/Moscow won by Botvinnik - is not online anywhere, I have uploaded it here. I made numerous corrections to the Botvinnik book of the tournament and this file is believed to be the most correct and accurate version possible. These were pointed out by Prof. H. Simpson and published in CHESS REVIEW Jan-Feb 1982 published by James Schroeder of Cleveland. Mate is given at White's third move or earlier in 355 possible games. First we have the well-known games in which Black mates on his second move. A typical game of this type is 1. f4 (or f3) e5 (or e6) 2. g4 Qh4. White's two moves may occur in either order, giving 2 x 2 x 2 = 8 games. (ii) 1. c3 (or c4 or d4) and White mates with Qc2 or Qd3 followed by Qg6 after Black has played f6 and h6 (or h5) in either order = 3 x 4 = 12 games. 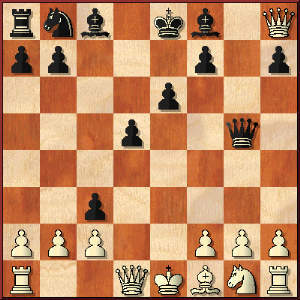 (iii) 1. e3 (or e4) followed by Qg4 and Qg6 after Black has played f6 (or f5) and h6 (or h5) in either order = 2 x 8 = 16 games. (iv) 1. e3 followed by Bd3 and Bg6 after Black has played as in (iii) = 4 games. (v) 1. e3 (or e4) followed by Be2 and Bh5 after Black has played f6 (or f5) and g5 in either order = 2 x 4 = 8 games. (vi) 1. e3 (or e4) and mates with Qh5, Black playing as in (v) and White's second move being a pawn move a3, a4, b3, b4, c3, c4, d3, d4, e4 (e5), f4, g3, h3 or h4; or a bishop move Bd3, Bc4, Bb5, or Ba6; or a Queen move Qe2, Qf3, or Qg4; or knight to Na3, Nc3, or Nh3 = 2 x 23 x 4 = 184 games. (vii) 1 e4 f5 2. e4xf5 g5 3. Qh5 = 1 game. (viii) Black plays as in (v). White's second move is e3 (or e4) and his first move is pawn to a3, a4, b3, b4, c3, c4, d3, d4, f4, g3, h3 or h4 or knight to Na3, Nc3, or Nh3 = 2 x 15 x 4 = 120 games. Now the White mates equal 2 + 12 + 16 +4 + 8 +184 + 1 + 120 = 347 and added to the 8 Black mates, the total is 355 games. Opening or other analysis. One chess celebrity in Iowa is Hugh Meyers of Davenport who has irregularly published an offbeat openings magazine since the late 1970s, "The Meyers Opening Bulletin" (The MOB). The last issue was December 1996. Since then Hugh has had some health problems that he would be happy to tell you about in full. I saw Hugh at the 2002 Iowa Open in September. He has just published his autobiography "A CHESS EXPLORER" which includes openings analysis and 130 of his best games annotated. He is selling it for $25 plus $3 shipping. You can contact him at 1605 E 12th Street, Davenport, IA 52803, tel. 563-324-6609. He is in the phonebook. Iowa State Chess Association has a list of clubs and tournaments. Tournament Announcements for Iowa from the United States Chess Federation. Soon they will change so you can go up one directory to http://www.uschess.org/tla/ and search. There are many great chess pages but the best is: the University of Pittsburgh's Chess Club which has USCF ratings, FIDE ratings, columns, and an unlimited amount of chess software and games as well as links. The Week in Chess A weekly roundup of news and the best games in the world presented in PGN (ASCII) format so your computer can play them over or you can read them. Games, results, and bios from the 1995 Nordic Zonal. All of the most important games of the past two years. Sorted by ECO in cbf format. A central repository for Amiga chess-related programs. An archive of board game programs for the Amiga. Index of 2- or more player games on Aminet. Brazilian archive; with FIDE info, games, and software; it hasn't been updated in a long while. Internet Chess Library pic gallery with pictures of chess boards and pieces, chess celebrities, ICS personalities, and screen shots of programs available at the ICL. A central repository for Atari-related chess programs. British Chess Game archive, 1930-Present. Download game collections from tons of British events. Has a java applet featuring a Game of the Day, plus PGN collections by player (only a dozen or so top GM's) and opening (fairly large). A central repository of chess files, programs, etc. from Traveller Information Services; offer Logical Chess: Move by Move, Chess Diagram Construction Utility, Beginner's Page, Chess Problem Server, 5-Piece Endgame Solution, Chess Graphics, Chess Trivia and Chess History. Russell Enterprise Inc.'s chess archive site, with a potpourri of articles, letters and essays from the days of yore, along with selected articles of interest from today. Correspondence games from Chess Mail magazine. Selection changes every month. Ususally the collections are centered around specific themes. These chess pages consist of all the world champion matches and the 1948 tournament for world championship, available national (i.e. Finnish) tournaments and some links to other chess pages. Massively huge archive of correspondence games dating from 1804 to the present including a section devoted to CC World Champions. The download page of the GambitSite. The Electronic Chess Library is a published work of Glenn Budzinski, one of the more prominent US Chess historians. He has graciously now placed the entire Library into the public domain and it is housed at the University of Pittsburgh Chess Club. Elo lists new and old, plus some other files. The chess files contain a large collection of chess games in many formats, news, programs, utilities, and more. Game collections of various gambits. Complete tournaments in PGN format, mostly from the last couple years. A collection of International Email Chess Group's games from 1994 to the present. All sorts of downloadable chess items, including a large games collection. A repository for chess related materials for the Internet, including free and shareware software, games data in various types and formats, and non-copyrighted or reprinted with permission articles and publications. You can also visit their ftp server. Collection devoted to this opening. Observer is a software robot that pulls games off the FICS chess server that ended in checkmate, and then sorts them by opening. See the day's harvest. Many rating list and other usefule files on ratings. an excellently organised download page which covers all expectation in a download archive. Ruben Casafus does offer overall 275.000 matches, most of them played recently via e-mail. Archives are offered as zipped cbf-files. Strongly recommended! Archive of games in ASCII and PGN format, as well as a large index of other chess Web sites. - collection including Complete IECG 1994 game collection, PCA Candidates match 1995, British Championship 1994 all in PGN notation. Lots of correspondence games to download. Collections devoted to various line of the Sicilian. A repository of interesting and valuable ChessBase files. PGN archives of games from local tournaments. Dallas Chess Club. Huntsville Chess Club chess archives; large site with games, database searches, a beginner's page, and more. Keep up on current trends with the last 50 or so issues of The Week In Chess. This site archives games by opening name, player, and event; play through the games using a Java applet, or simply look at the text file of the games. They also archive FIDE ratings. Has probably the biggest collection of games and downloadable chess stuff on the Internet. Openings, players, events; it's all here. The games from the history of the World Championship, plus some of the candidate matches. cal-pg.zip Games played in California: 10,216 Games. maxg-pgn.zip 3147-game PGN Collection. See DOC file included. sams-pg.zip Collection of Misc. games, including many non-published GM games. wchamppg.zip History of the World Championship: 3531 Games -- Male, Female, Candidates' Matches, Candidates' Tournaments, WCH Matches. 02mon-pg.zip 1902 Monte Carlo: Maroczy, Pillsbury, Janowsky et al: 20 Players, 220+ Games. See README.TXT, included. 02wienpg.zip Vienna 1907: Mieses, Duras, Tartakower, Vidmar et al: 14 Players, 91 Games. 13hav-pg.zip 1913 Havana: All 56 Games. 1st Marshall, 2nd Capablanca, 3rd Janowksi. Cross-table included. 36us-pg.zip 1936 US Championship: 110 Games (10 missing - see PGN file): Reshevsky wins. Cross-Table included. 56montpg.zip 1956 First Canadian Open Ch., including some early Bobby Fischer games. Headers corrected according to tournament book, fixing errors found in other copies on the net. 72amstpg.zip 1972 Amsterdam IBM: All 120 games. 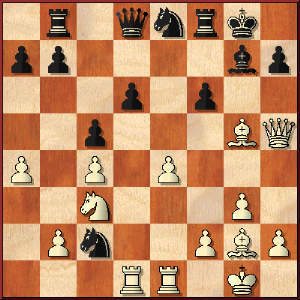 Won by Polugaevsky. 72san-pg.zip 1972 San Antonio "Church's Chicken" Tournament: STRONG players! Pribut maintains archives of the rec.games.chess frequently asked chess questions (FAQs). 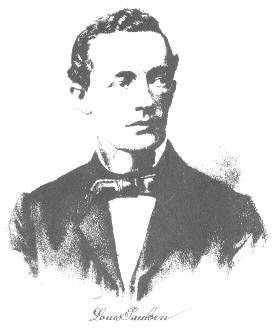 Adolf Anderssen Birth: July 6, 1818 and Death: March 13, 1879 is buried in the Osobowicki Cemetery in Wroclaw, Poland, formerly named Breslau, Germany. 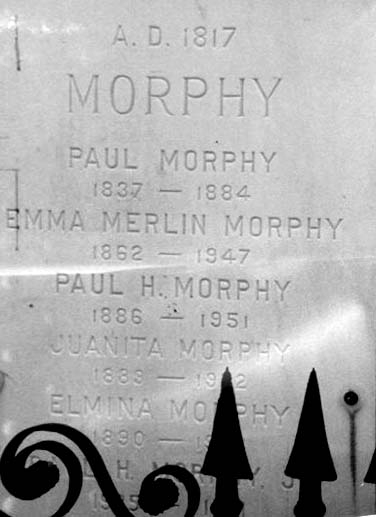 Paul Morphy Birth: June 22, 1837 and Death: July 10, 1884, is buried in New Orleans in St. Louis Cemetery No. 1. 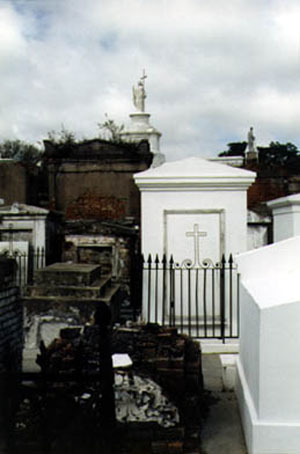 Here is his grave. Harry Nelson Pillsbury Birth: December 5, 1872 Somerville, Massachusetts and Death: June 17, 1906 Philadelphia, was United States Chess Champion from 1897 until his death in 1906. 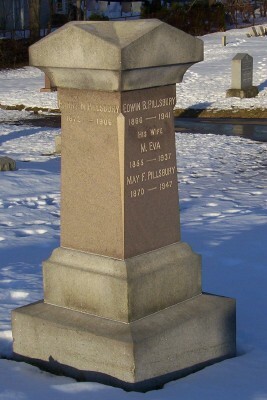 He is buried in Laurel Hill Cemetery, Reading, MA. 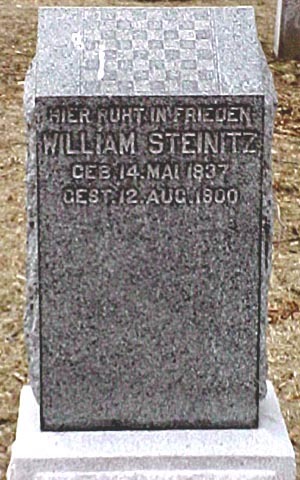 William Steinitz Birth: May 14, 1836 Prague, Czech Republic and Death: Aug. 12, 1900 New York is buried in the Evergreens Cemetery, Brooklyn, Plot: Bethel Slope Section, Lot 5896. Emmanuel Lasker Birth: Dec. 24, 1868 Berlinchen and Death: Jan. 11, 1941 New York, is buried in Beth Olom Cemetery, Brooklyn. Jose Capablanca Birth: Nov. 19, 1888 Havana and Death: Mar. 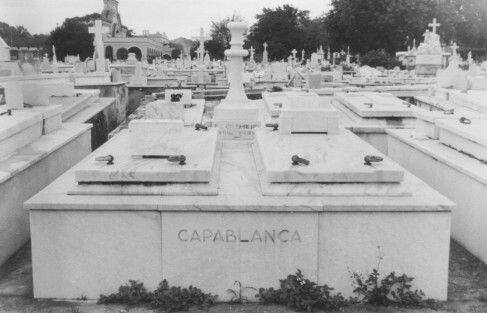 8, 1942 New York, is buried in Necropolis Cristobal Colon, Havana's city of the dead. 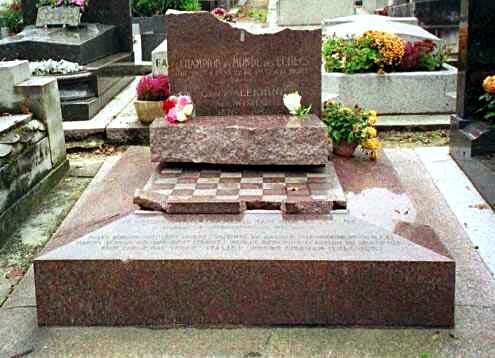 He has a marble king on his grave. That is what you get when things are done by committee. Death: May 5, 1995 Moscow, Russia. Mikhail Nekhemievich Tal Birth: November 9, 1936 Riga, Latvia and Death: June 28, 1992 Moscow, Russia. and Death: August 13, 1984 Moscow, Russia. Last modified March 22, 2006.